I love it when I find products which are a secret gem and I have not heard very much about previously. I am all for buying a great product which has become hugely popular because it is a fab product, and not just because of the brand name. Morphe is a brand which has become widely available here in the UK thanks to BeautyBay. I have ordered Morphe brushes and their must have 35O palette from the brand before, and have been very impressed with both. I love the palette it is a holy grail palette for me, and that takes a lot as I own a lot of eyeshadows. 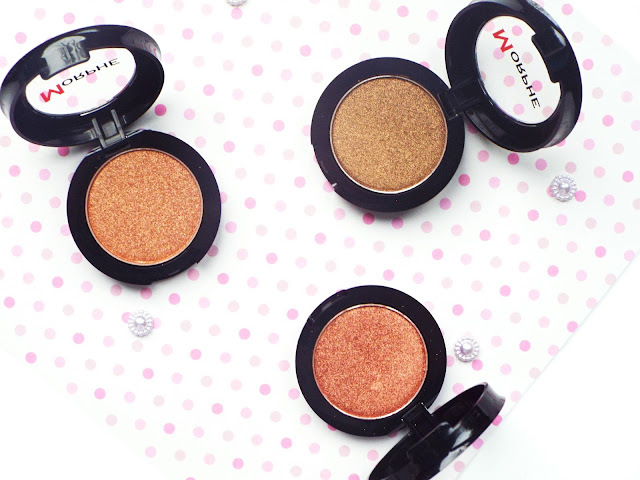 A few weeks ago I was browsing BeautyBay as I do often, and ended up on the page for these pressed pigments. I had not heard anyone from the UK or overseas chatting about these. That made me both nervous as I had nothing to go off, and excited as it was something new which looked very exciting. 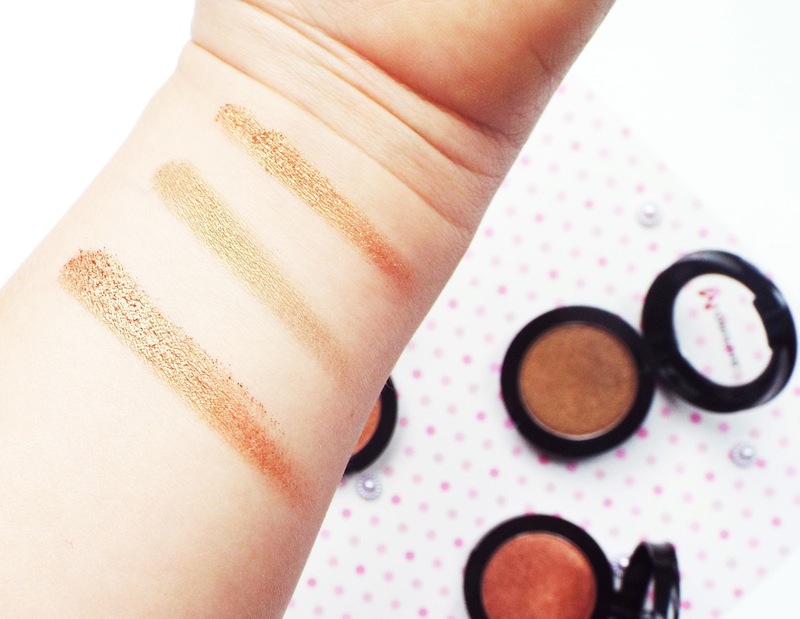 I love eyeshadows which are pigmented and do the job easily and quickly. I am not going to lie I can be lazy when it comes to my makeup some mornings, and I just want to get it done and dusted. I have lots of days when I spend lots of time blending my shadows and I really enjoy it. It just depends what I am doing, where I am going, and usually the biggest problem is usually that I have got up late and have to leave for work in 10 minutes. I picked up three Morphe pressed pigments in the shades rodeo drive, 5 star luxury and socially broken. They are £6 each and each contain 3g. 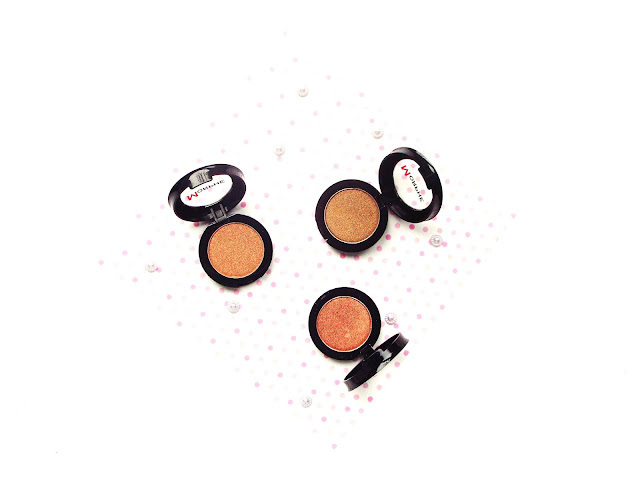 These are intended to deliver the coverage and finish of a loose powder, but without the faff and fall out. I am most impressed with how pigmented these are, they look beautiful on the eyelid and with one application my eyes are ready to go with just a coating of mascara on my lashes. These are soft and super blendable, which makes me super happy. 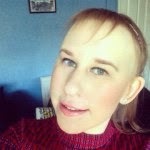 They do not crease which gets a huge tick from me as I have massive issues with lots of shadows which crease and stick on my eyelid. They are also versatile are you can use them wet for a more high shine intense look, but everyday I use them dry for a more simple look but they still add some glitter and shimmer to my eyelids. You can probably tell that I really like these. All three have been equally as good as each other, I have not come across one duff shade. I have used these daily for the last few weeks and I have barely created a dent in the products, a little definitely goes a long way. Rodeo drive and 5 star luxury are quite similar in terms of their shade colourings. Rodeo drive is the lightest out of all 3, it is a beautiful rose gold terracotta shade. 5 star luxury is also rose gold but when swatched next to rodeo drive it is much darker and has much more rusty red undertones, this one in particular is super pigmented and I love it. If you like a rose gold, sparkly eye you can blend these together and put rodeo drive into the inner part of your eye. Socially broken is completely different the other two shades. It is a medium toned chocolate brown but has lots of golden shimmer running through it. In some lights it definitely has some reddish undertones running through it, which is great as I do not own another shadow like this. I love wearing this on a weekend or on a day off, as it is darker and more smokey than the other shades. I am definitely going to pick up some more of these shades up as I have been super impressed all round with their performance. For £6 these are on par with what high end brands would sell for easily £15+. I would definitely recommend picking these up. I have got my eyes on the shades powder room and merry the night next.